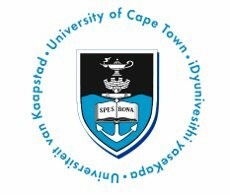 In an exciting move to keep up with current global education trends, the University of Cape Town (UCT) is piloting part-time online programmes as part of their Across Africa initiative. The first course to feature is the popular UCT Postgraduate Diploma in Management (Marketing). This two year part-time postgraduate diploma is presented in blended format, combining interactive online education with traditional classroom learning. This means that any South African, regardless of their physical location, may participate in this popular field of study and acquire this highly respected qualification. If you are a working professional, wanting to extend your knowledge of management and marketing while also looking to enhance your future career opportunities, this programme is for you. It offers structured systems and support, while also being flexible to your busy schedule. Visit postgrad.uct.ac.za for more information.